The Saint Joseph Cathedral, better known as the Antigua Guatemala Cathedral, is a 16th century church that was one of the largest in Central America during its heyday. The Saint Joseph Cathedral, better known as the Antigua Guatemala Cathedral, is a 16th century church that was one of the largest in Central America during its heyday. 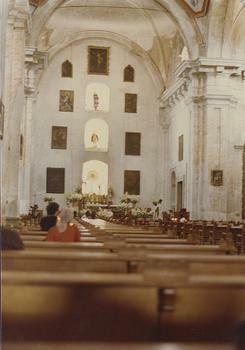 A large part of the cathedral was rebuilt after the devastating 1773 Guatemala earthquake damaged it.